One of the most greatest sculptures from the Renaissance has been replicated in an artistic and pretty fun way. Curious? 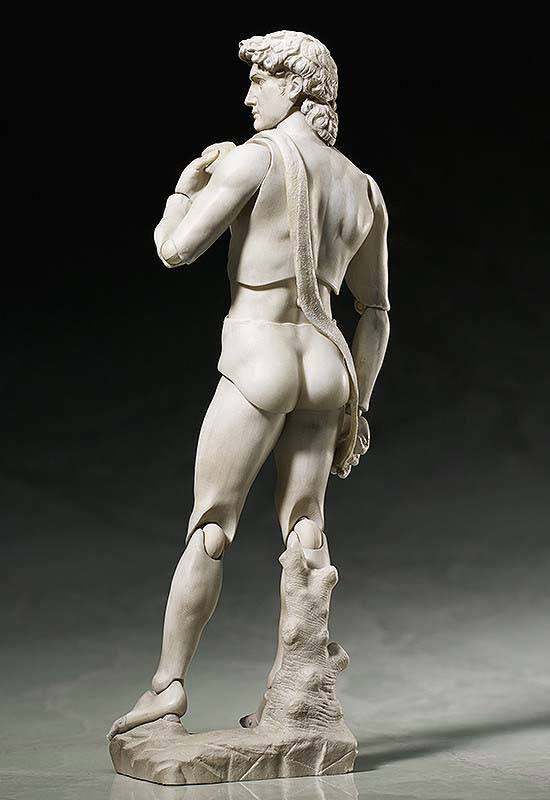 Let’s keep going for Michelangelo’s David sculpture action figure. 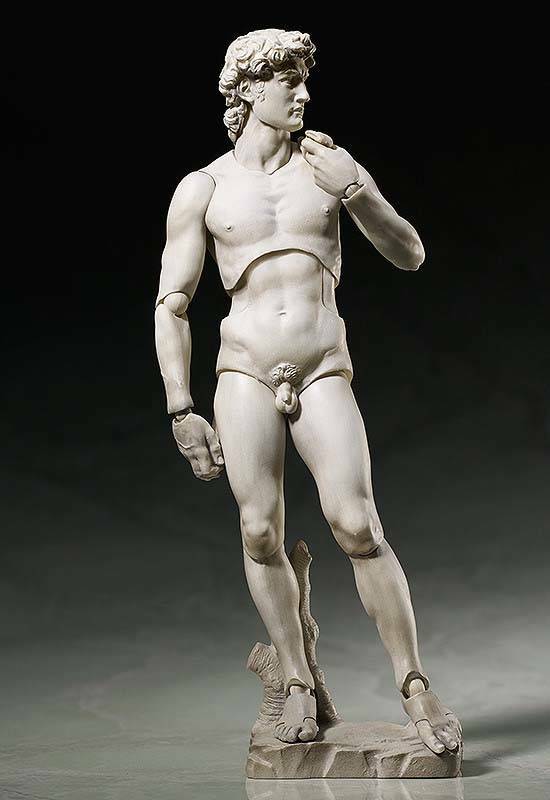 This is a pretty interesting and artistic action figure based on Michelangelo’s David, a masterpiece of Renaissance sculpture. As we can see from images, the action figure completely duplicates the robust and beautiful body of David di Michelangelo and shows off highly exquisite details and determined expression. 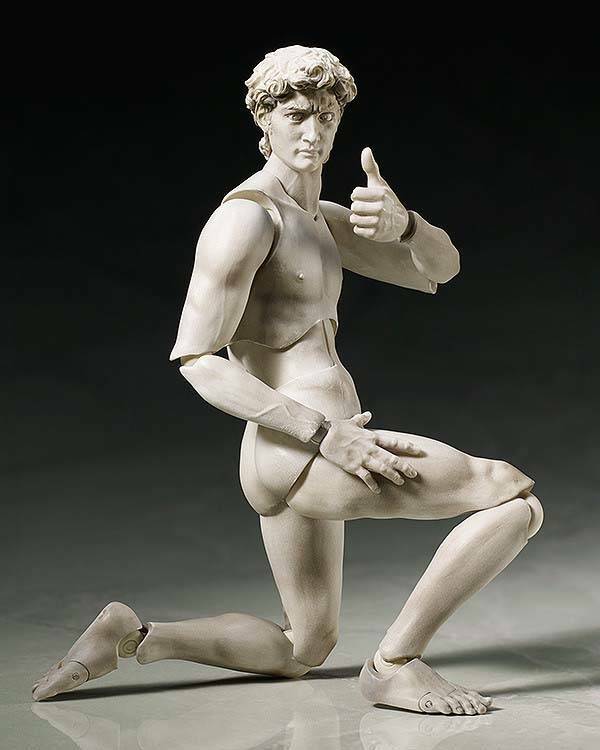 Unlike original sculpture, the David action figure comes with multiple joints of articulation, so you can design various interesting or cool postures for the classic sculpture, and a flexible plastic is used for important areas, which allows proportions to be kept without compromising posability. Moreover, the David’s eyes can be moved to change the direction he’s looking. In addition to a classic base for his iconic posture, the action figure also comes with an articulated stand, which allows various poses to be taken. The Michelangelo’s Devid action figure has been available for preorder for ¥4,800 ($49.99 USD). If you’re interested, jump to BigBadToyStore or GoodSmile online shop for its more details.